Want to create the coolest game room on the block? 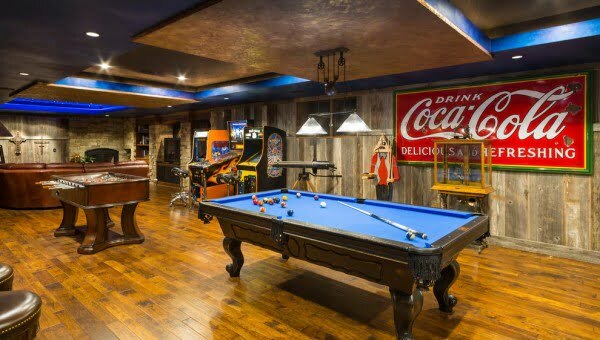 Here are 20 best game room design ideas in 2019 that will inspire you for something great. And not only for men! 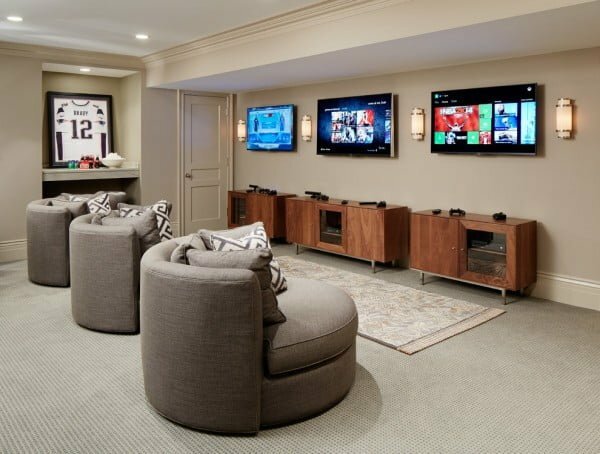 A game room isn’t just a man cave to play your favorite video games; it can be the place for the whole family to get together and have some fun. And if you decorate the area well, everyone will enjoy and look forward to spending time here. Because it’s such a carefree and playful place too, you can use your creativity to the full extent and experiment with your ideas. We have selected some of the most inspiring game room design and decor ideas so you can find your favorites. We’re sure that this list will be your starting point to create something great in your home as well. So check out these ideas and take a few notes – they will come in handy. Enjoy! Nothing makes such a great statement and a conversation piece as a vintage item as the focal point of the room. 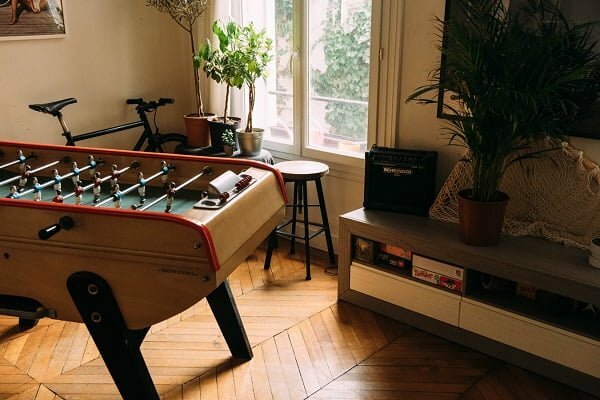 This game room decor makes use of a vintage foosball table which complements stylish and cozy mid-century room decor. Classic, luxurious decor always gets very positive feedback. 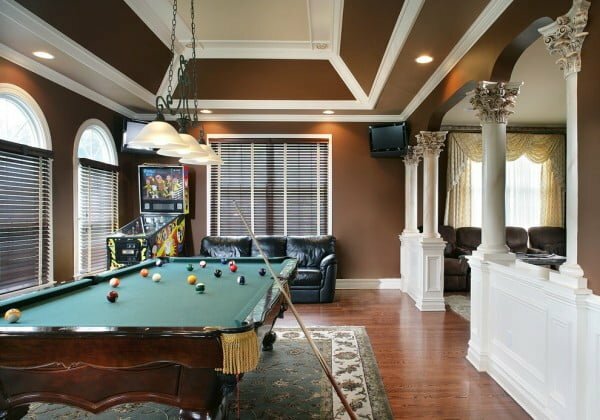 This gaming room enjoys a classic interior design with a lot of architectural interest via crown moldings, ceiling embellishments, and a pillar. The vintage luxury pool table works as a high focal point of the room and set the right mood. All in all, it’s a sophisticated design that one can spoil themselves in. If you have something to showcase that you’re proud of, such as a video game collection, your game room is the place to do it. At the same time, you can translate it into a lot of decor value. Make use of all that color to create an eclectic design in the room. 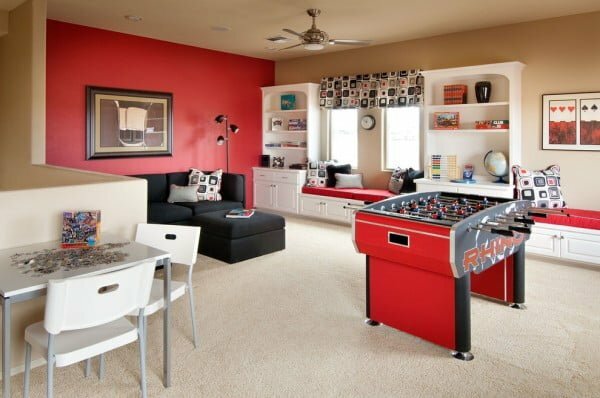 This game room is for the whole family to enjoy and they can do it together at the same time. The room has a neutral theme in grey tones with classic and contemporary accents. Overall, the room decor makes a subtle experience without being overwhelming visually. 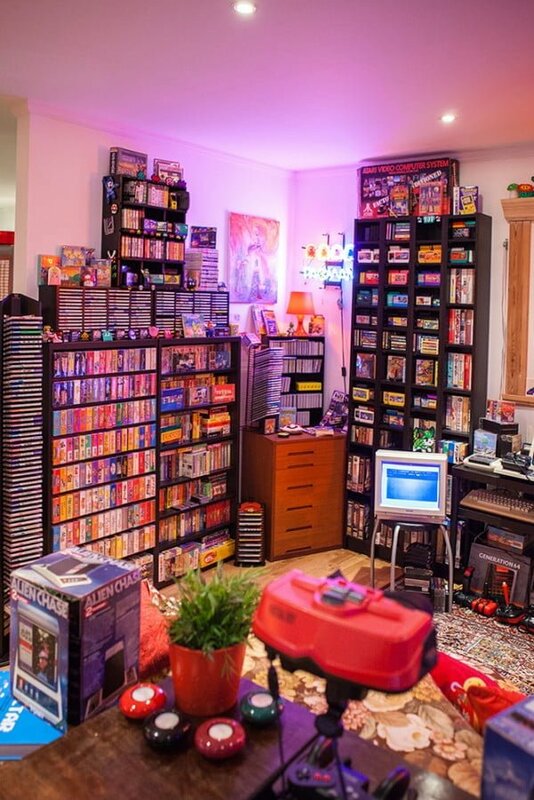 This game room leaves a very distinct impression. On one the hand, the room design is primarily classic, with embellished pillars and crown molding that creates a lot of architectural interest. On the other hand, leather furniture gives it a modern touch, while the arcade machine makes a retro statement. 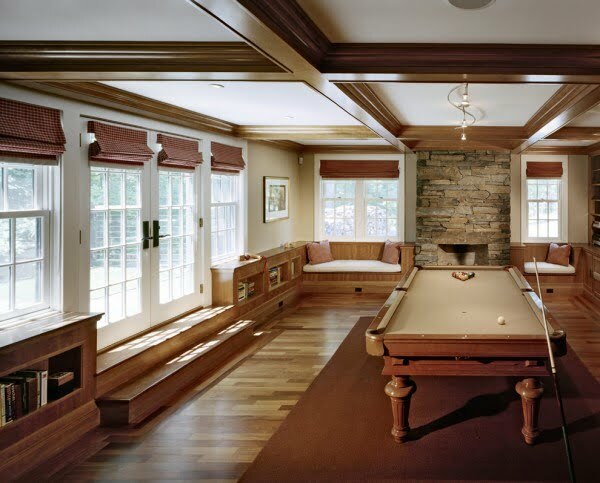 And finally, the antique pool table makes the ultimate focal point of this luxurious game room. This modern luxury game room is to die for. The contemporary decor with mid-century elements and marble accents creates a very luxurious feel. And we’re not even talking about the magnificent view that the full wall windows open up to. The red accent wall also makes an energizing accent which tells the dwellers that this room is designed to spoil them. 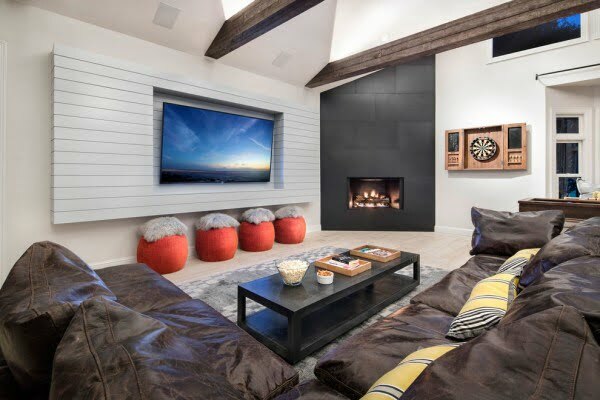 With its reclaimed wood walls, old-school arcade games, and contemporary touches, this mountain-style game room is a welcoming space to unwind and temporarily forget the cares of the world. This awesomely-designed game room, with its plush seating, creates a cozy atmosphere for gaming alone or with your favorite people. The fireplace adds to the comfy vibe exuding from the space. Everything comes together to form a comfortable and playful modern farmhouse atmosphere. This game room and home theater combination has a bold feature wall in a vibrant blue that perfectly complements the muted color on the other walls and all the dark wood in the space. The whole place feels like you private sports bar. 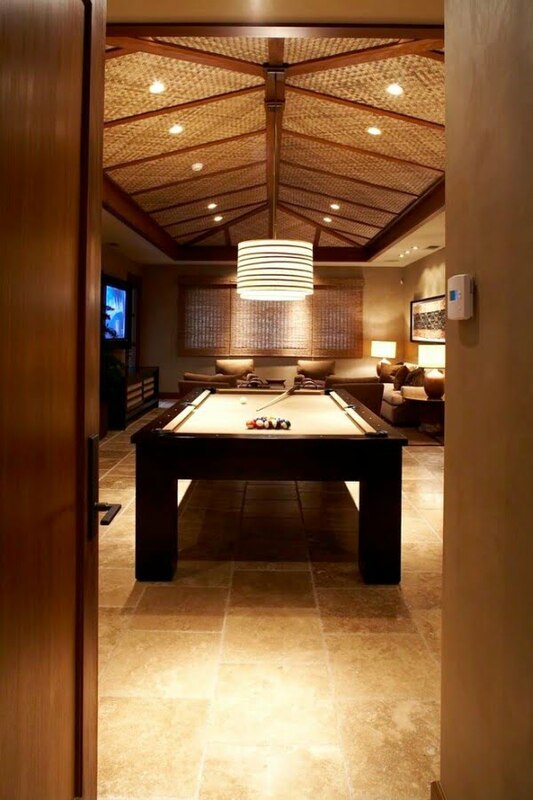 The tones, textures and fantastic furnishings in this island-style game room all combine to pay homage to the modern pool table, which is the seamless centerpiece of the stunning space. From the multi-tone wood on the floor, the spectacular stone on the fireplace, the practical seating and the perfectly-placed pool table, the visual appeal and functionality of this room are seriously breathtaking. 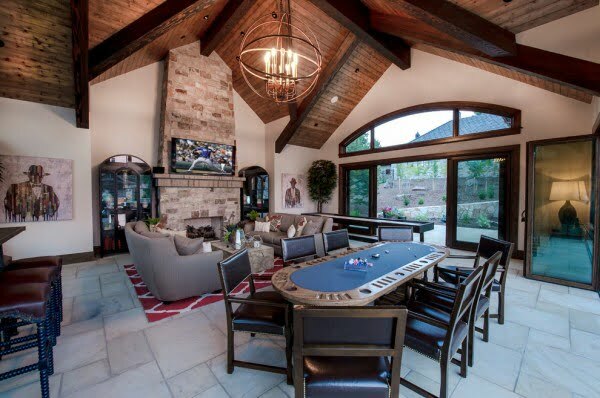 This game room belongs in a mansion. This light, white and bright game room is designed to maximize fun from the moment you enter the space. The crisp white of the area beautifully complements the ceiling beam and the brightly-colored games as well as the wall art. This is a stylish game room that boasts a sleek, contemporary ping pong table that sets the tone for space. The lighting does much to keep the space light and airy. 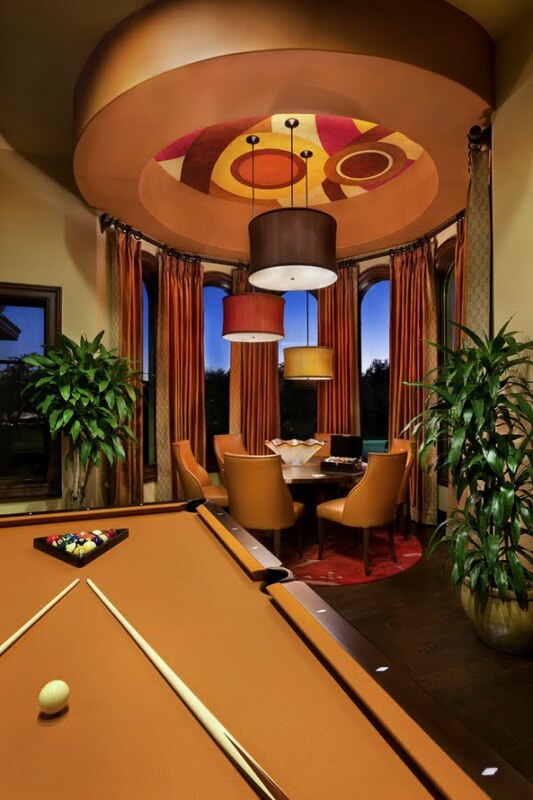 The intricate details of the ceiling in this Tuscan-inspired game room are nothing short of stunning. The mixture of muted tones and bold patterns and colors adds to the charm of the space. 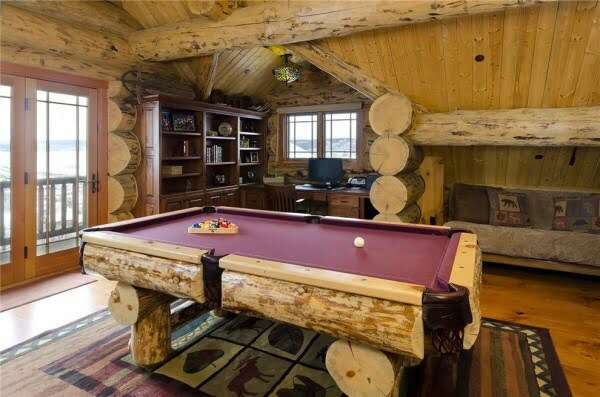 The medium tone wood in this rustic game room continues on this excellent pool table with its brightly colored playing surface. The darker tones of the furniture pieces effortlessly complement the space. 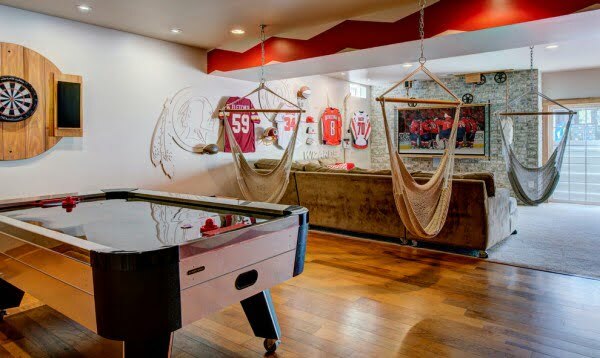 This game room with its transitional concrete floor and beige walls signal the fun that awaits you in this beautifully designed space. Come for the games or relax with your favorite TV/cable program. 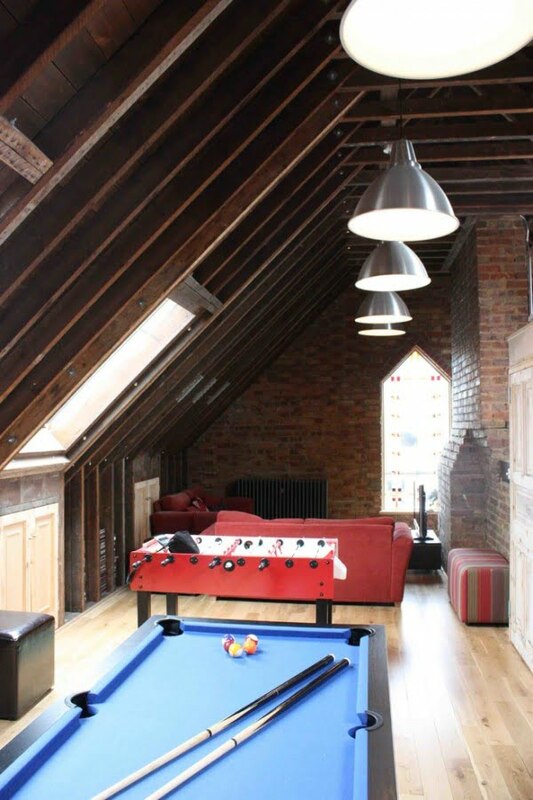 This urban game room with its brick walls, wooden beams, and cord-hung ceiling lights is reminiscent of space that is meant for the coolest among us. The roof window admits natural lighting into space. 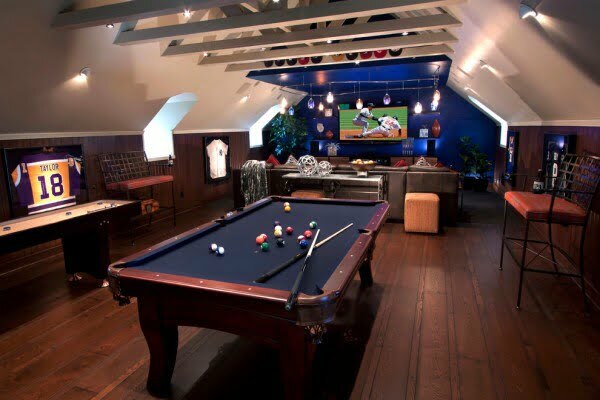 This game room is incredibly inviting and energetic. It offers the whole family a mixture of relaxation, entertainment, vigorous revelry or quiet comfort. The wall displays bring the space together. 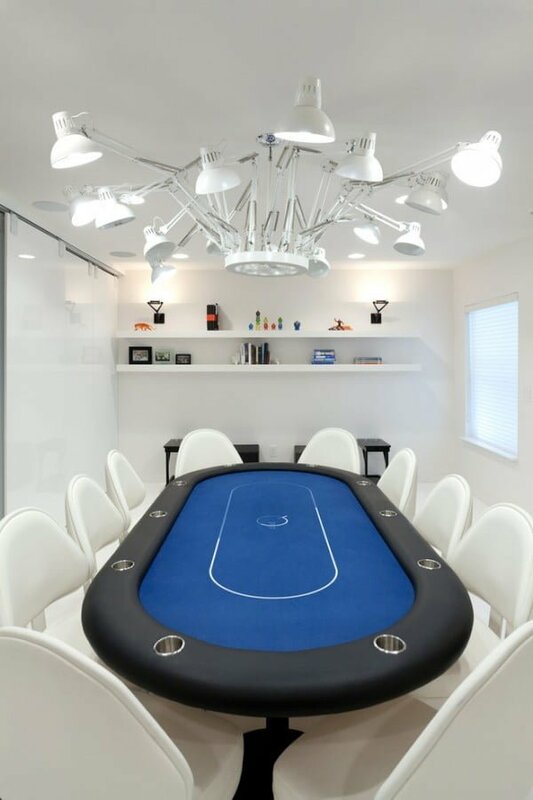 The crisp whiteness of the space and the elaborately bold design of the light fixtures are superbly complemented by vibrant blue of the super cool poker table. This game room is grand, gorgeous and a great reflection of artful design. Its white limestone flooring sets the foundation for the stone fireplace, beige walls and all the furnishings and game in the space. 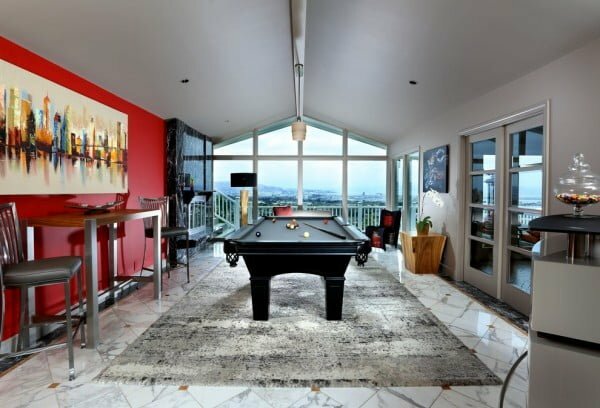 The boldness of red and the contemporary feel of the geometric prints in this game room significantly contribute to the overall vibe of the space. The functionality and beauty of the built-ins are just remarkable.